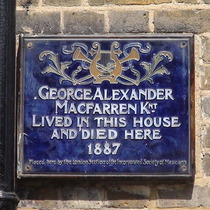 George Alexander MacFarren Knt, lived in this house and died here, 1887. 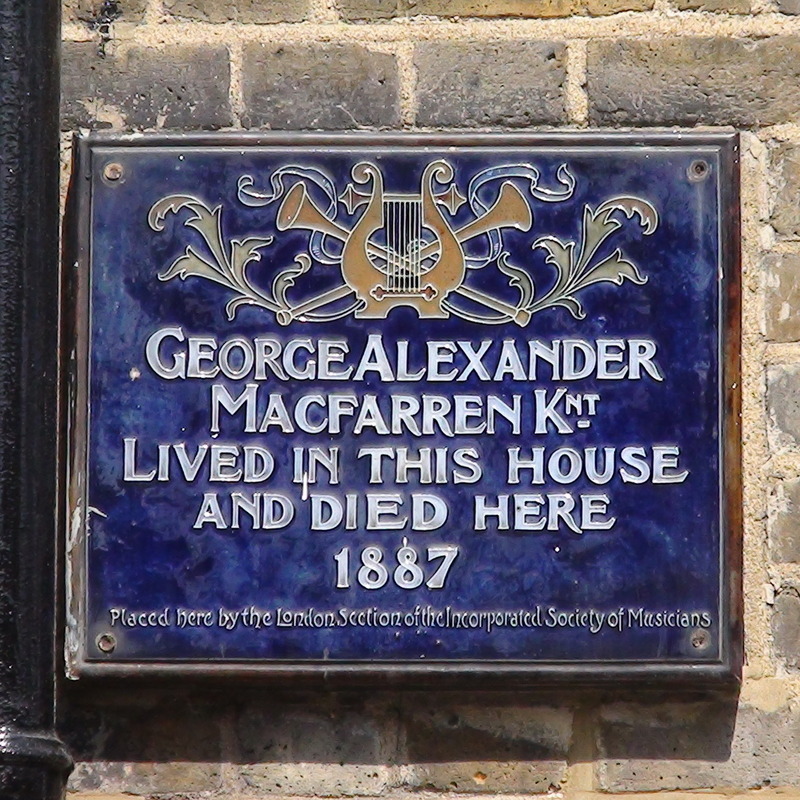 Placed here by the London Section of the Incorporated Society of Musicians. Sir Henry Irving laid the coping stone of this building 1905. This plaque is on the wall behind the tree.